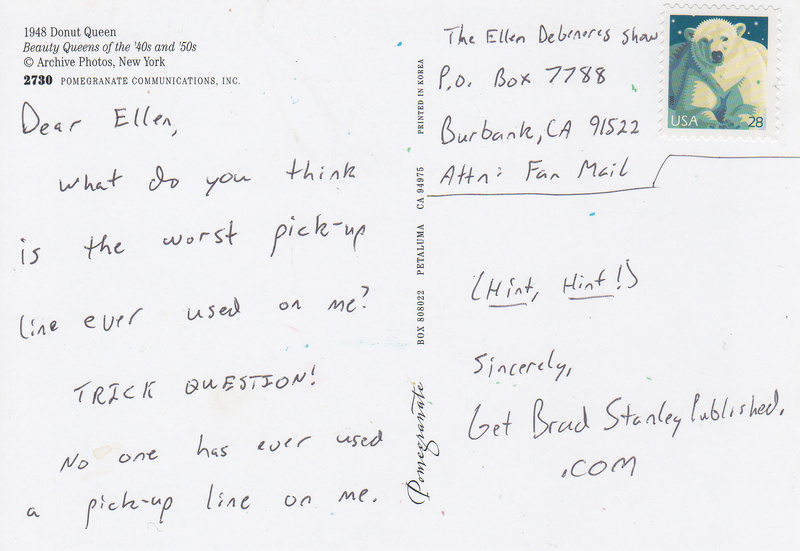 As an FYI, the postcard is from some hip shop in downtown Houston. What do you think is the worst pick-up line ever used on me? No one has ever used a pick-up line on me. It’s a misnomer that donuts are unhealthy. They’re full of candied delicious and powdered awesomeness and part of a complete breakfast. Cereal is for pansies. Just ask the Donut Queen. Shouldn’t the donut queen weigh more? She looks like she has pretty built arms. Maybe back in the day (say, 1948) she used to punch holes into doughnuts. 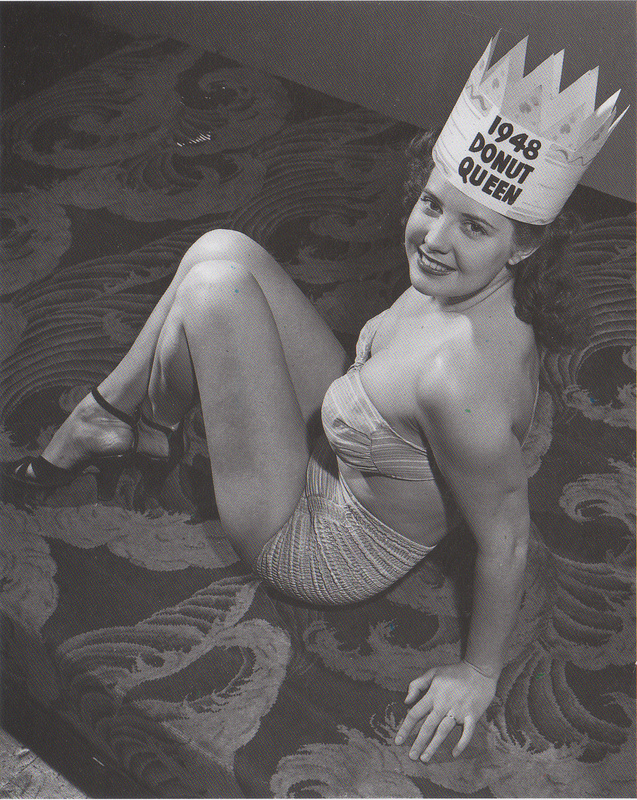 She probably punched holes at the highest rate – thus earning the donut queen title.